Collection of the world’s most innovative, unique, and creative boat designs. See the world below you with remarkable clarity in this cool boat. 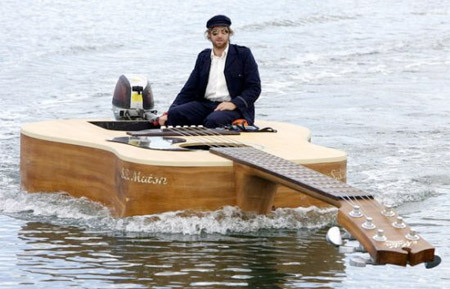 This unusual boat is a giant replica of Josh Pyke’s acoustic guitar. 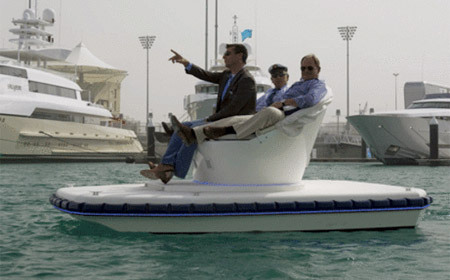 Comfortable sofa placed on a motor powered floating platform. 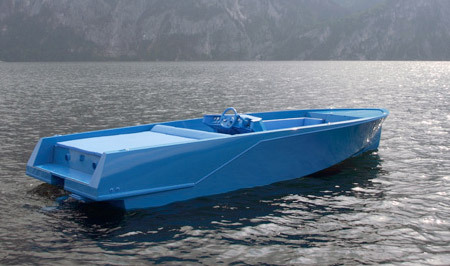 Stylish speedboat designed by French artist Xavier Veilhan. Awesome boat crafted by talented Japanese artist Yasuhiro Suzuki. 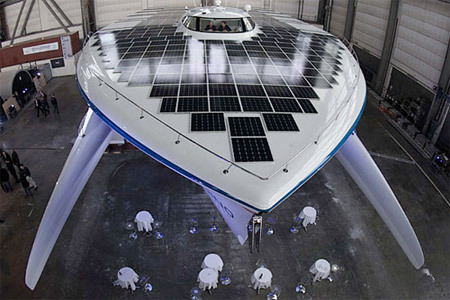 World’s largest solar powered boat with 5,000 sq. ft. of solar panels. 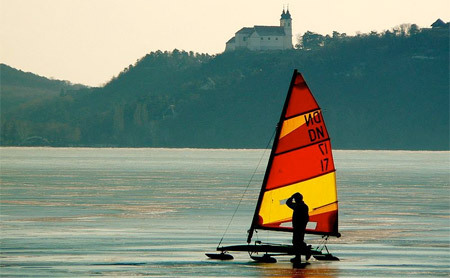 Innovative boat designed to run over ice instead of through water. 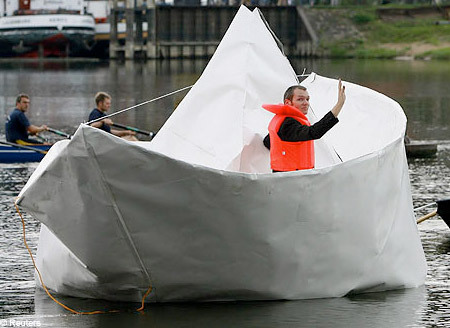 Life size paper boat created by Frank Boelter from Germany. Moby The Whale boat designed by Tom McClean from Scotland. Real boat transformed into a model of itself by Michael Johansson. 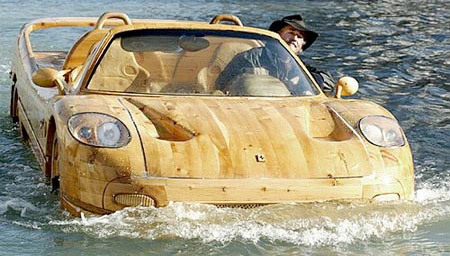 Livio De Marchi sculpted a full size Ferrari F50 boat out of wood. 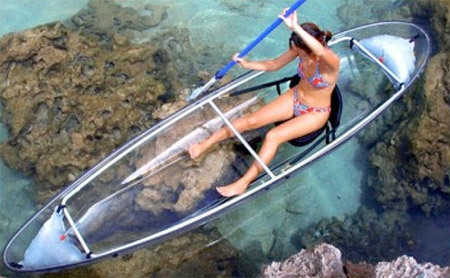 Human powered elliptical boat allows you to “walk on water”. Very cool. The wood car is the best. Hahaha. I’m so amused with the paper boat, it seems it has already absorbed a lot of water and is starting to sink already. such creativity, brilliant. my favourite is the transparent one. These are pretty cool to. JamJam made my day ! Ferrari would be sooo sick! @ JamJam – The Mythbusters pycrete boat was fantastic. 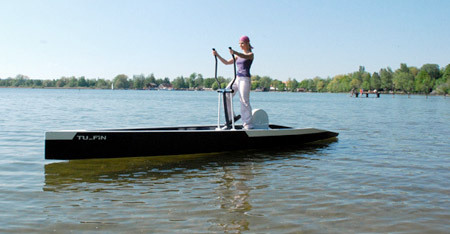 Elliptical boat is really practical: Work out and take a stroll on the lake! Model kit boat rocks! Wouldn’t mind owning the solar boat!